When you install the Windows 10 on your PC, you will need to have access to an exclusive product key. This product key is able to verify your installation. 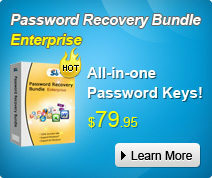 With this product key, it will prevent the software from unauthorized use and copy. 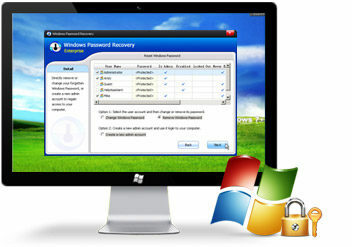 As long as you have bought any Windows version or new-built personal computer, you will surely have access to a Windows product key, which is used to verify whether your Windows is full version or not. To be honest, in order to access Windows 10 product key, it is not so easy to do that. Just imagine that, if it is so easy to reinstall Windows system and get the product key, then everybody would reinstall it and then remove all the other things in the PC. Get to the point, how to find Windows 10 product key when you can’t know it? There is a method that is quite easy to find the product key of your Windows copy. Windows 10 product key is normally located in the registry, but get access to this information is not so easy. You need to access it by using basic scripts. The process is definitely not straightforward. We don’t suggest this method. You can also search about it on the Internet as long as you like. There is also another chance for you to get the product key. The key may not work because of “System Locked Pre-installation”. In this case, you are going to look for the COA Sticker. This sticker is located on your computer outer body and it may be in anywhere. Consequently, you are about to find out everywhere from the computer. However, if the sticker is faded because of the PC is too old, then you can’t find anything about the Windows 10 product key. Thankfully, there are also several third-party tools that are able to figure out the product keys. 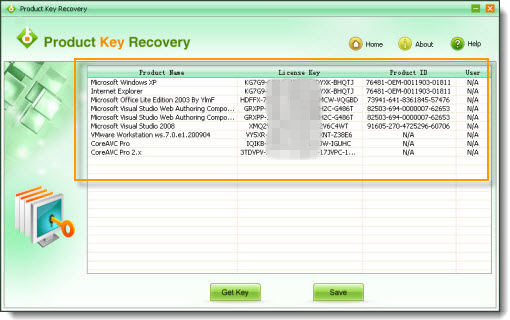 One of them is SmartKey Product Key Recovery. It is extraordinary easy to use and it is going to let you see all the software product keys in your Windows 10 system with just one click. This program is safe and you won’t lose any data. Step 1: Download and install this product key finder to your Windows 10 from HERE. And then launch the software. Step 2: Just click the “Get Key” button and then the application will scan your installations and show all the product keys. The shown information includes the Product Name, License Key, Product ID and User. Step 3: Just find out your Windows 10 product key from the information and then select it, then click the “Save” button to save it to Windows 10.